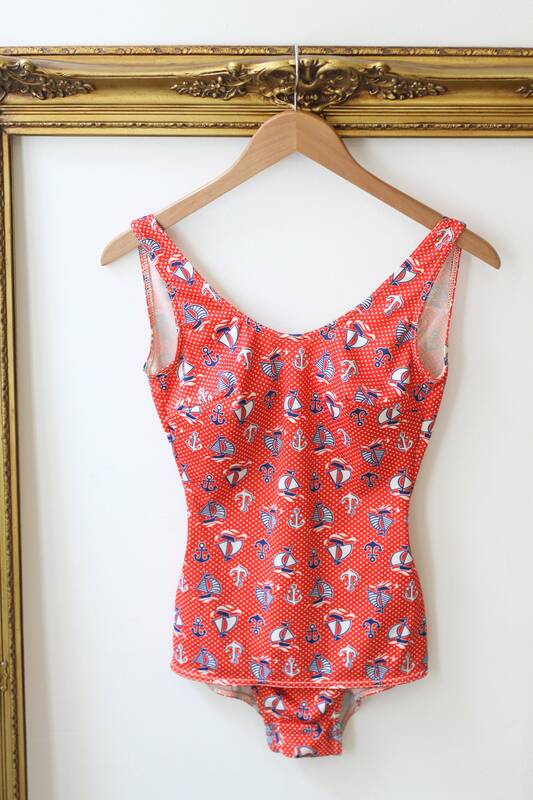 A perfect one piece swim suit from the 1960s. 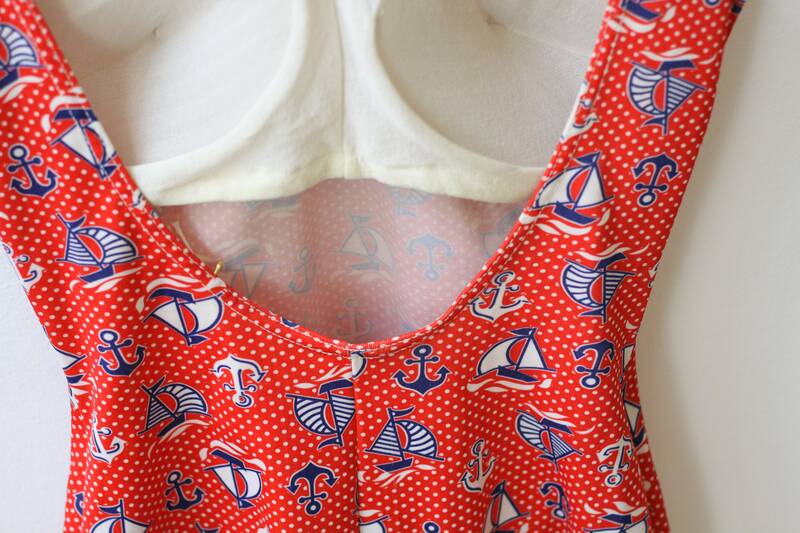 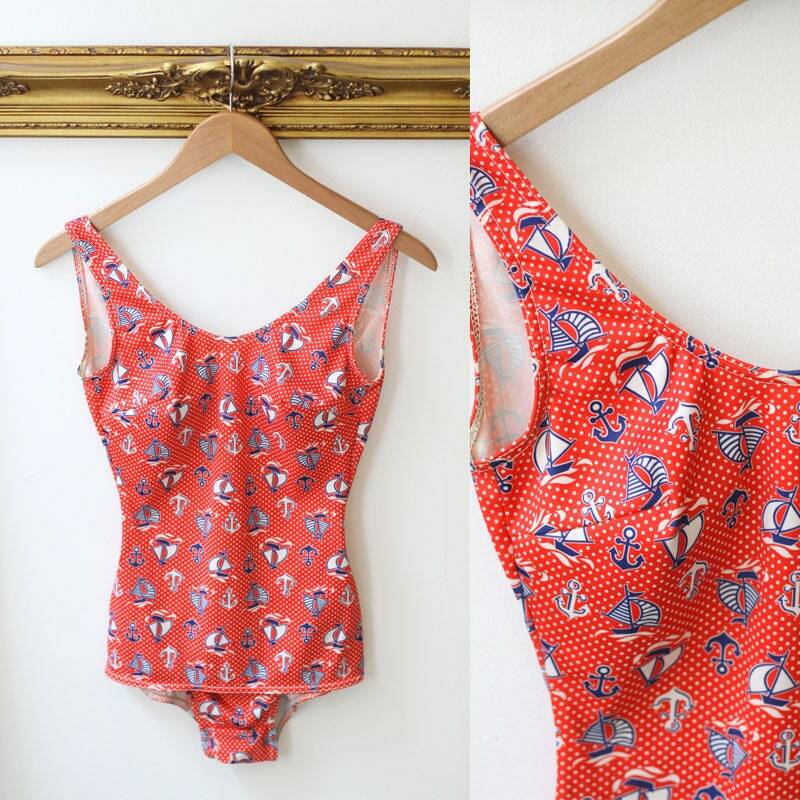 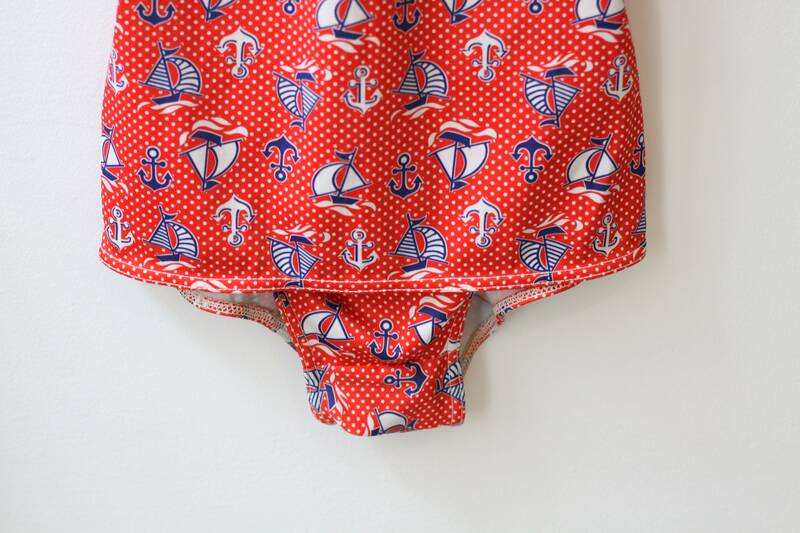 Red sailboat and nautical novelty pattern throughout the suit. 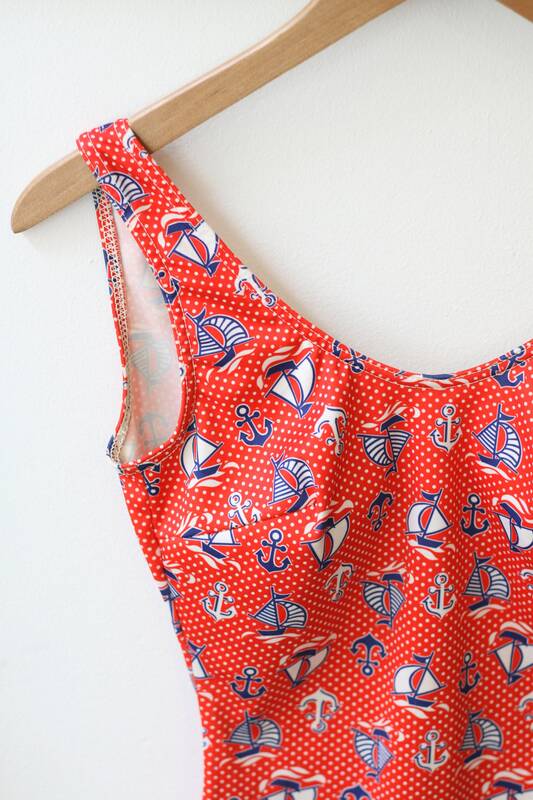 Made by the Corporal brand with the tag line “top in fashion, top in quality”. 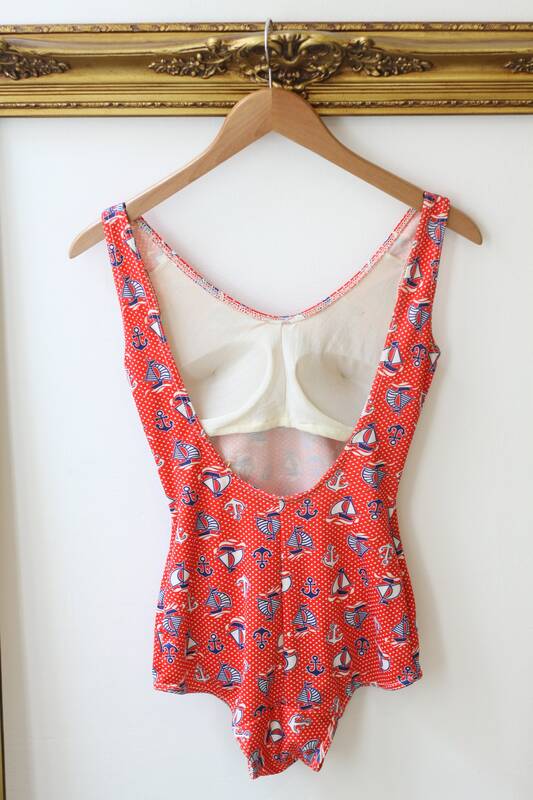 This is such a fun piece.